Is it always reasonable to dismiss an employee for failing a drugs test? As employers, you have a legal duty to take reasonable care of the health, safety and welfare of your employees. If an employee is suspected of being under the influence of alcohol or drugs (whether prescription or illegal drugs) then you may be expected to take action to protect them and others. The action may depend on the employee’s role – for example, drug screening is much less likely to be justifiable for office workers than for drivers or those operating heavy machinery. So, is it always reasonable to dismiss an employee for failing a drugs test? When considering whether a dismissal for misconduct is fair, an Employment Tribunal will need to determine whether the decision to dismiss the employee fell within the ‘range of reasonable responses’ available to a reasonable employer in the circumstances. In a recent case involving the dismissal of a bus driver who failed a drugs test, the employer’s decision to dismiss was found to be outside the range of reasonable response and therefore unfair. Mr Ball, a 61 year old diabetic, had been employed by First Essex as a bus driver for over 20 years. The company’s Drugs and Alcohol policy allowed for random testing. Mr Ball was selected for testing and underwent a saliva test, which showed positive for cocaine. Mr Ball said that he never used drugs, and suggested that the test may have been contaminated, for example, he was not required to wash his hands or wear gloves before handling the sample. Mr Ball also claimed that it was possible that the bank notes he handled were contaminated with cocaine, which could have found its way into the sample – he said that often licked his fingers, which were sore from checking his blood sugar levels every 2 hours. Mr Ball arranged his own private drugs test (a hair follicle test) twice, which did not test positive for cocaine. However, the company rejected the results of these tests. Mr Ball was dismissed for gross misconduct following a disciplinary hearing. He appealed against his dismissal but was unsuccessful, and brought claims for wrongful and unfair dismissal in the Employment Tribunal. The company told Mr Ball that their policy did not allow them to recognise alternative tests, however this wasn’t mentioned in the policy. They also failed to bring to Mr Ball’s attention that the policy said he could challenge a positive result. Whilst the employer’s disciplinary policy said that it would carefully consider evidence submitted by the employee, they had closed their minds to all possible explanations that did not fit their predetermined conclusion. Failing a random drugs test was not given as an example of gross misconduct in the disciplinary policy, however they had decided that it was sufficient evidence of Mr Ball being under the influence of illegal drugs, which was identified as being gross misconduct. The company, however, had no other reason to believe that Mr Ball had been under the influence of cocaine whilst on duty as his behaviour, good character, long service, age and health condition were all indicators to the contrary. The information from the lab was that the amounts detected were so small that he couldn’t have been under the influence of illegal drugs, but they had failed to consider this point. The Tribunal held that a reasonable employer would have at least re-tested the employee. Mr Ball was a long-standing employee with a previously unblemished record and he was facing a career-ending decision. Whilst there can be good reasons for employers to have a policy of carrying out random drug testing, this case highlights the risks of treating the results as “black and white” and the importance of always considering whether dismissal is reasonable in the particular circumstances. Drug and alcohol testing will always require the employee’s consent, and any information gained through testing amounts to sensitive personal data and should be handled carefully. We can help with preparing or reviewing policies and procedures and also with advising on tricky issues relating to alcohol and drugs in the workplace. If you would like to talk through a situation you are dealing with, or if you need advice on any aspect of employment law, please contact any member of the Pure Employment Law team (01243 836840 or enquiries@pureemploymentlaw.co.uk). 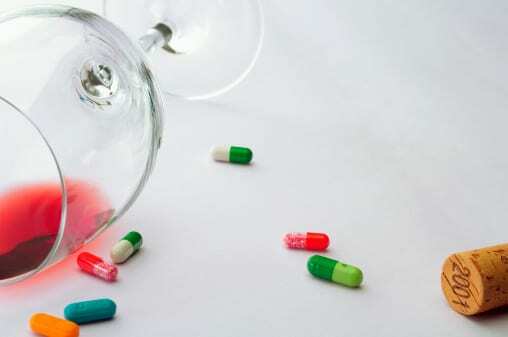 https://www.pureemploymentlaw.co.uk/wp-content/uploads/2019/02/alcohol-and-drugs.jpg 337 508 Marianne Wright https://www.pureemploymentlaw.co.uk/wp-content/uploads/2019/02/Pure-Employment-Law-logo.jpg Marianne Wright2018-11-30 11:00:542019-02-06 16:52:33Is it always reasonable to dismiss an employee for failing a drugs test?